The term medical refers to the examination, diagnosis, and treatment of disease or illness through nonsurgical means. Even though your pet may appear normal, examinations are critical for helping us find disease early when treatments are more likely to be successful. 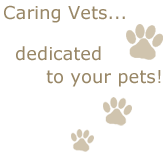 Each pet is a family member with unique medical, dental, and nutritional needs. Our preventative health check and vaccination programs are designed to improve and prolong the life of your pet, with the emphasis on a good quality of life. Pets, including furries, age about seven times faster than we do and should be examined at least annually. Older pets should be seen more frequently. When your pet needs treatment or in-house care (hospitalisation), we take pride in our extremely high standards of hygiene and in-house care – always going above and beyond in every way possible. 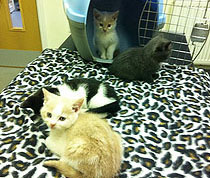 For example, unlike most practices which simply lock-down at night, we never leave animals alone! We, John and Margaret, stay on-site to keep an ever watchful eye on our patients. 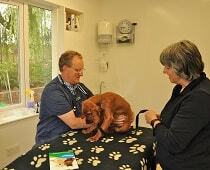 We treat your pet with the same special care that we would treat our very own pet. We recommend vaccinating your dog, cat, rabbits and other small animals against a variety of infectious and often fatal diseases. We understand that your pet is unique and needs a vaccination program specific to him or her. Vaccines are selected for your pet based on your pet's lifestyle and risks. People commonly forget that rabbits need protection from dangerous diseases but these diseases cause intense suffering and even death. We strongly recommend vaccinating all rabbits. Please speak with us for additional information on disease prevention for all of your pets. We strive to have all pets free of fleas, ticks, and other parasites for their health and comfort – and yours! We discuss flea and tick prevention / treatment options with you and recommend the appropriate course of action. Call us for a total solution to this pesky problem. For pets with potentially infectious conditions, we isolate them for everyone's protection. 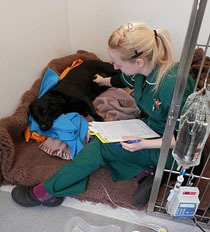 Our hospital-standard isolation ward complies with the strict Veterinary Hospital Regulations. We designed the ward to have a healthier environment for treatment and recovery. The ward has a dedicated external access so the infected pet doesn't come into contact with other pets. It's equipped with a bath and has a separate kennel with thermostat controlled under floor heating for the pet's comfort. 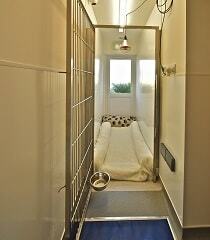 The lights are on a dimmer switch so your pet is kept in soft, soothing light to induce calmness. Your pet is monitored constantly by our veterinary staff and receives the same comfort, loving care, and attention that all our pet patients receive.